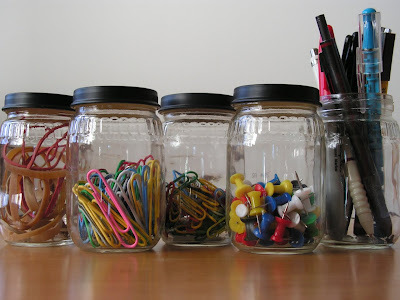 junk drawer, desk, office: catch all for all the little odds & ends, rubber bands, paper clips, tacks, pens. 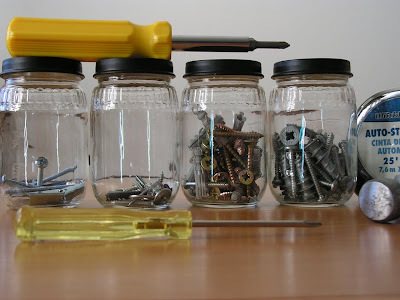 tool box or workshop: nails, screws, bolts, washers, etc. if you'd like to label the contents on the lids see the chalkboard painted lids tutorial from day 5.
see you tomorrow for day 7 ! my fil screws the lids under the counter at his workshop and fills with screws, brads, etc. except it's pb jars.